When I was little, I had a pair of patent black shoes. At the time I was also really into dreams as a way to explore my fears, and there were two things that I would always dream about: one of them was teeth and the other was something I called, "the cutters". Long after I grew out of them, my mom kept my little patent black baby shoes, and their meaning evolved to embody all of the fear-memories and dreams that I had as a young child. The shoes went on to become an object of obsessive self-reflection as I got older — along with the cast of my teeth as a 12 year-old from when I got my braces. Both items represented moments of understanding myself which was something that I wanted to explore in my artwork, prompting a painting which was called "The Cutters Are Coming", that drew from my reoccurring childhood nightmare as a namesake. 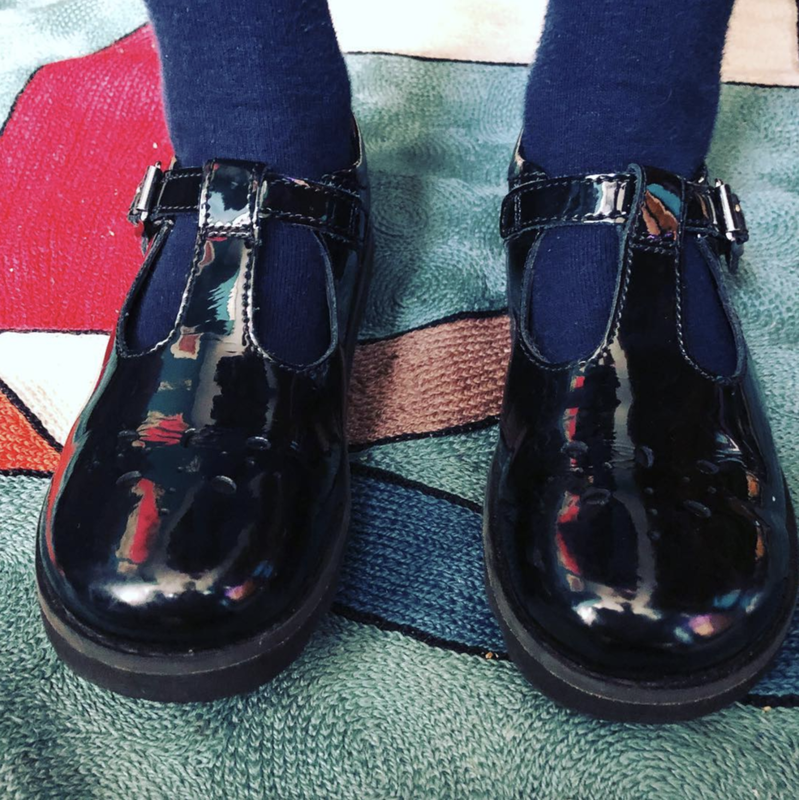 Today I have a daughter of my own, and recently we went shopping to get her a new pair of school shoes. She typically wears DocMartens, but this time she went through the store and spotted a pair that looked almost identical to the patent black ones from my childhood and she gravitated towards them. When she chose them, it transported me back to "the cutters". And as she stood there proudly exclaiming, "Mummy!!! I did the buckle all by myself!" I was thinking about the never-quite-resolved cutters. I've always loved black patent though; it's showy and shiny, but deep and mysterious. It's the ultimate reflection.